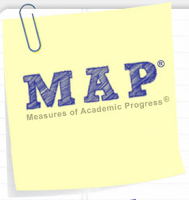 The Archdiocese of Boston has selected NWEA's Measures of Academic Progress® (MAP®) to assess student learning. The MAP test determines a child’s instructional level and measures his/her academic growth throughout the school year, and from year to year. Children will take the test on a computer or an iPad. The MAP® test is unique in that it adapts to your child's level of learning. As a result, each child has the same opportunity to succeed and to maintain a positive attitude toward testing. With the MAP test, the school can administer shorter tests and use less class time while still receiving detailed, accurate information about your child's growth.